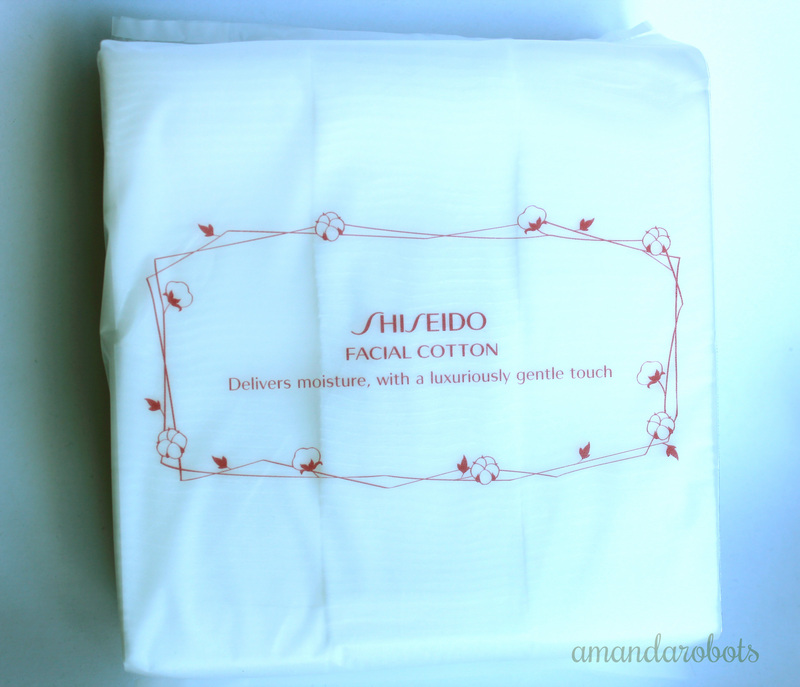 Review: Shiseido Facial Cotton (+ The Walking Dead) – amandarobots. I used to buy cotton pads from the drugstore for about $3 every month. I use facial cotton pads daily for my Bioderma and toner. On average I would use about 2-3 pads for each task because they would fall apart, leave their cottony residue on my face/eyes, etc. This contributed to how quickly I would go through these pads. I started using the Shiseido cotton after a friend who works for the company convinced me that it was literally the best. However, I was skeptical. $11 cotton? But the way she sold it to me was that because I would only be using 1 piece of cotton per task, I would end up buying the cotton once every three months, which works out to roughly what it did when I was buying drugstore cotton. And she was right. When I take my makeup off with Bioderma, I use one Shiseido pad for both eyes. When I tone, I use one pad each time, twice a day. That works out to 3 Shiseido pads a day instead of 6-9 drugstore pads. Moreover, I do indeed only buy a pack of these every 3-4 months. As counterintuitive as it might be, it works out to about the same as the drugstore stuff, and it’s so much better. It absorbs whatever liquid I put on it but doesn’t wick it away from the surface, so it’s perfect for getting the product back onto your skin. It’s super soft, including the edges — no rough edges like drugstore cotton. Overall, I really like it. If you have a chance to give it a try, I’d say it’s worth it. In other news, I don’t even know what to say about The Walking Dead. I’m pleased that the Governor is back to being the homicidal maniac we know and love (to hate?). But it was just so sudden. Last week’s episode was almost like he was reformed, like he had changed his ways and repented for all the unnecessary murdering he’d done… But as soon as he starts to care about people again, he gets right back into the murdering. I was absolutely shocked when he whacked the dude with the golf club and then threw him in the zombie pit. Shocked. I shouldn’t have been, because it’s a very Governorian move, but wow dude. Wow. And then when he went and killed the second dude and threatened the third, he was completely back to his old self. I must say, the episode did come with some very cool shots. The Quicksand Zombies were awesome. Really cool. Also the Underwater Zombie was fantastic. Although I wonder, if he’s tethered there, isn’t his foot going to eventually rip off as he starts to decay, freeing him to head back to camp and reveal that he’d been killed by someone rather than something, like the Governor said? Seems like a risky move to me, leaving him there. But ah well. I really couldn’t handle all the prison shots. So much tension. So much apprehension for next week. Like all mid-season TWD finales, next week is going to be chaotic!